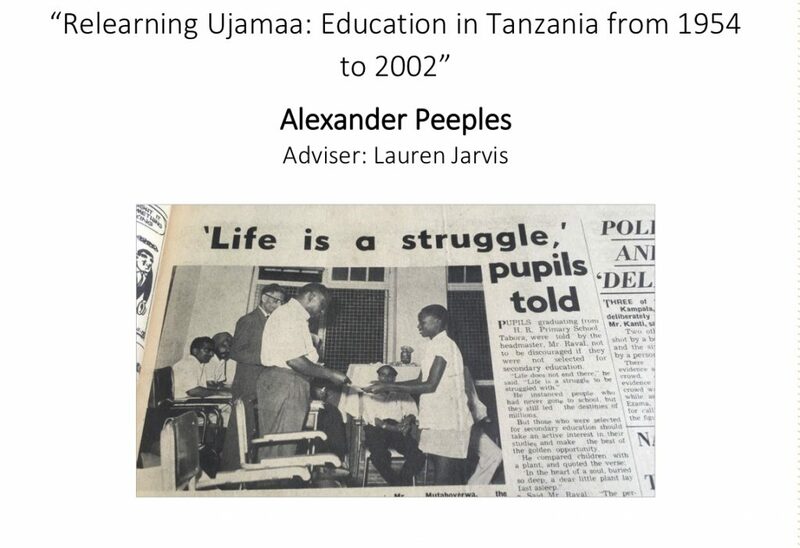 Undergraduate students in History do not just learn about the past from our faculty: they carry out their own research, producing original historical knowledge. Every major writes a 398 seminar essay, a substantial piece of historical scholarship. For students who want to pursue further research, there are plenty of exciting opportunities in History, including the Senior Honors Thesis program. 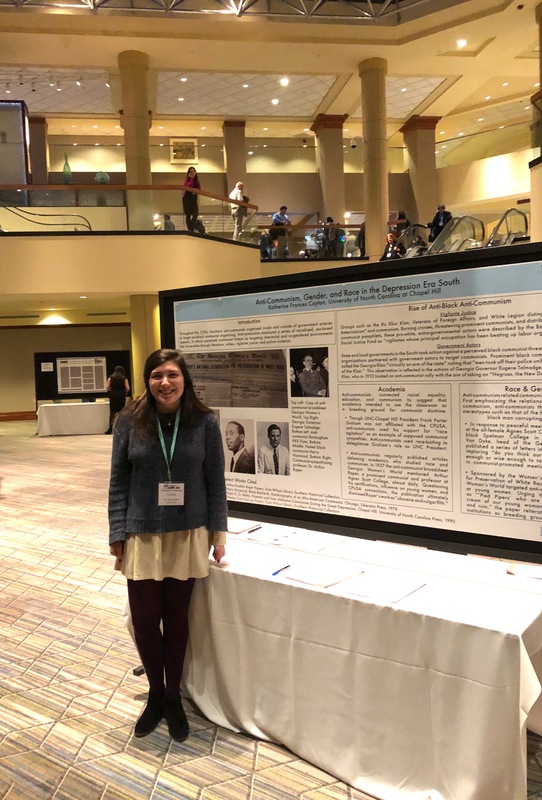 Undergraduate students working with History advisers can also apply for SURF grants, Robinson Honors Fellowships, Birch Fellowships, and other opportunities. Click here for a list of funding opportunities on campus available to History students. The History department makes competitive funding available to support student travel related to historical research or to approved study abroad programs through the Boyatt and Kusa awards. The department also offers a limited number of small research and travel grants to eligible majors completing their 398 Capstone Seminars. Each year, the department is proud to award the Joshua Meador Prize for the best 398 History Essay, and the Frank Ryan Prize for the best senior honors thesis. 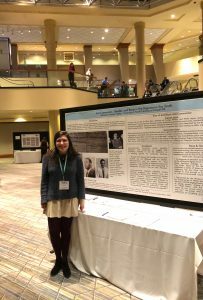 Limited funding is available for undergraduate students who want to travel to a regional or national conference to present their historical work. 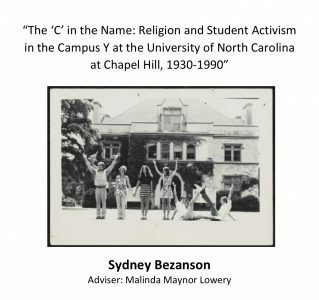 For more information, contact the Director of Undergraduate Studies, Brett Whalen (bwhalen@email.unc.edu). Traces features the work of UNC graduate and undergraduate students and was founded by Lawson Kuehnert and Mark W. Hornburg in 2011. Traces publishes original research by UNC students, book and film reviews, and essays on the historical profession. Sarah Miles and Emma Rothberg are the current graduate editors; Lacey Hunter and Max Conley currently serve as the undergraduate editors. William Sturkey is the faculty adviser. For a list of other journals that publish undergraduate essays, click here. Undergraduate students in History do not just learn about the past from from out faculty: they carry out their own research, producing original historical knowledge. 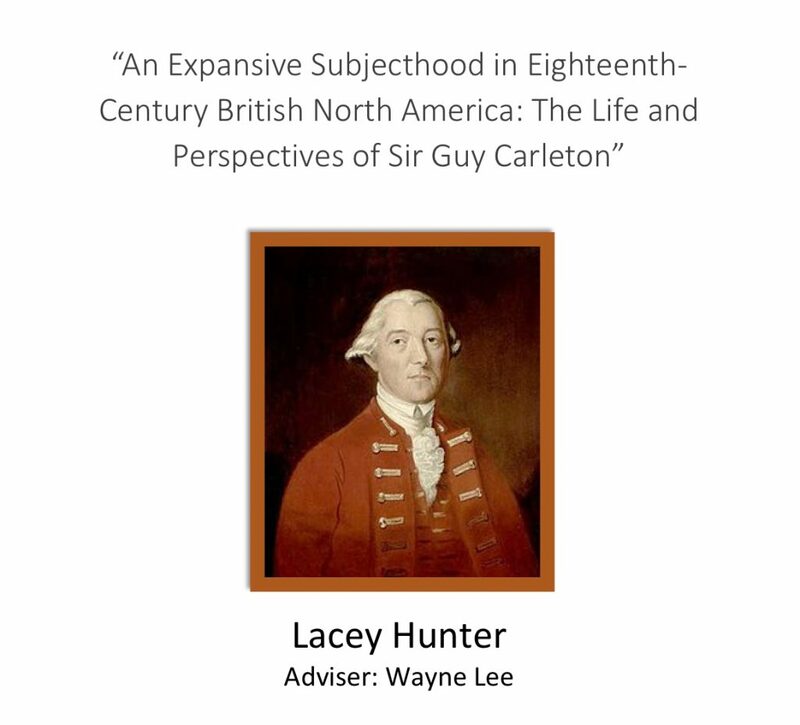 Every major writes a 398 seminar essay, a substantial piece of historical scholarship. For students who want to pursue further research, there, are plenty of exciting opportunities in History, including the Senior Honors Thesis program.